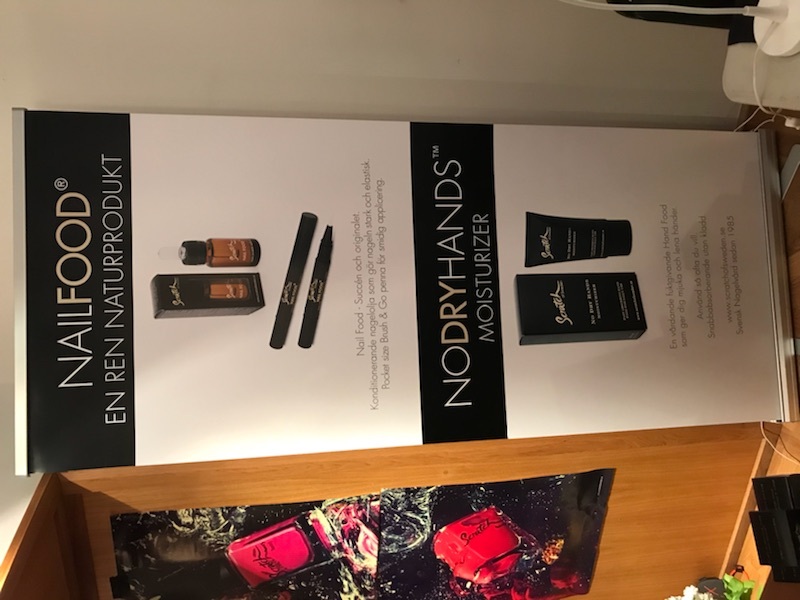 Stockholm beauty week was held at the Konstnärshuset (Art house) in Norrmalmstorg and I decided to attend the beauty expo to see what is new on the market; making new contacts and of course enjoying all the free beauty treatments. 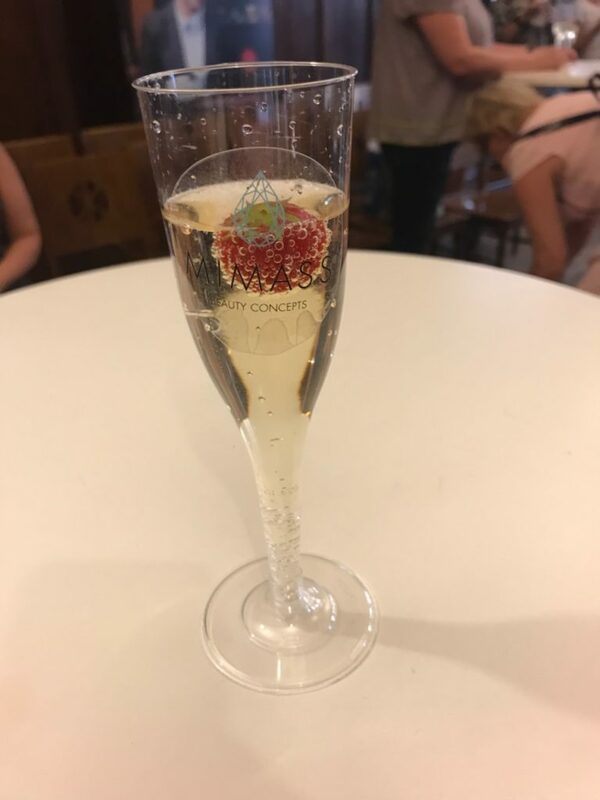 As a mother of a son of three years old, I do not get spoiled with beauty treatments very often. Pretty sure if you are a mom yourself you could relate to what I am saying. 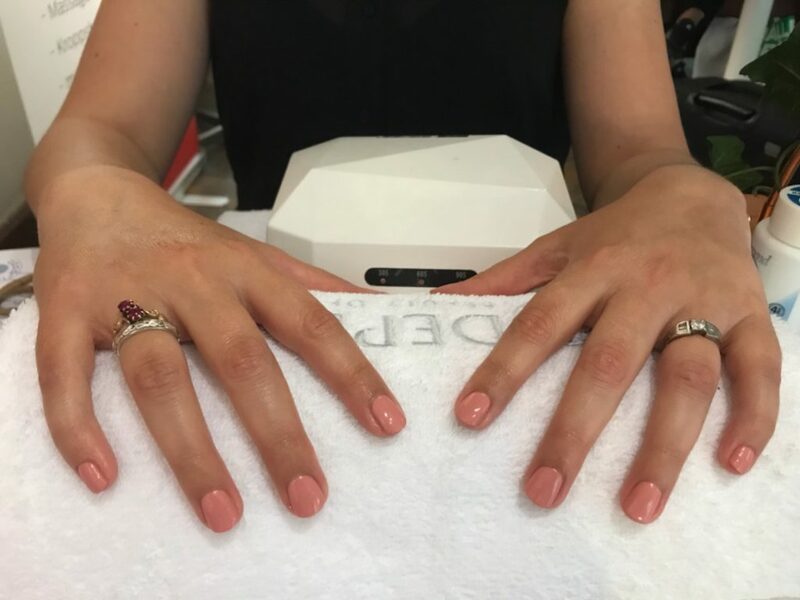 So, imagine a day (or three) filled with uninterrupted beauty treatments from facials to getting your nails painted and getting served champagne while you get a new set of gel nails. Heaven! 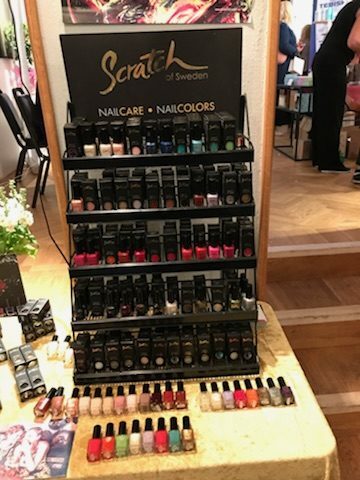 The Stockholm beauty week was stretched over three days. Konstnärshuset (or Art house in english) had 4 levels. This year there were lots of products and I was running up and down the four levels to see and do as much as I could. 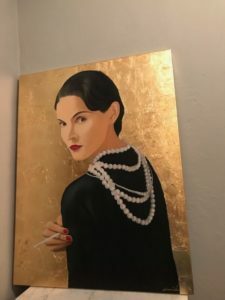 I saw this beautiful painting of Gabrielle Chanel and just had to take a picture of it. She is such an inspiration for women bosses all over the world. Like she said: “so at barely twenty I founded a fashion house. 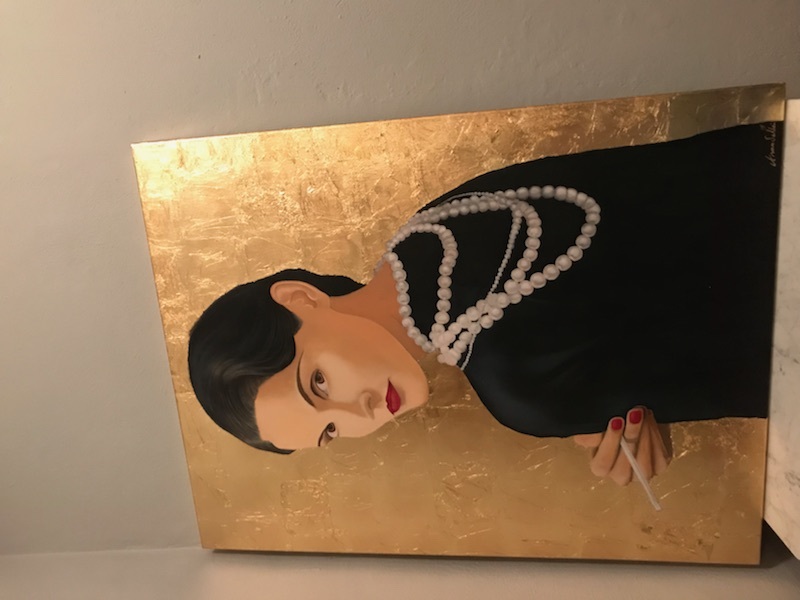 It was neither the creation of an artist as commonly claimed now, nor that of a businesswoman, but the act of someone who just sought freedom”. Natural beauty: My favorite look to create is natural beauty. Especially as a bride, you do not want to look as if your make-up was plastered on. 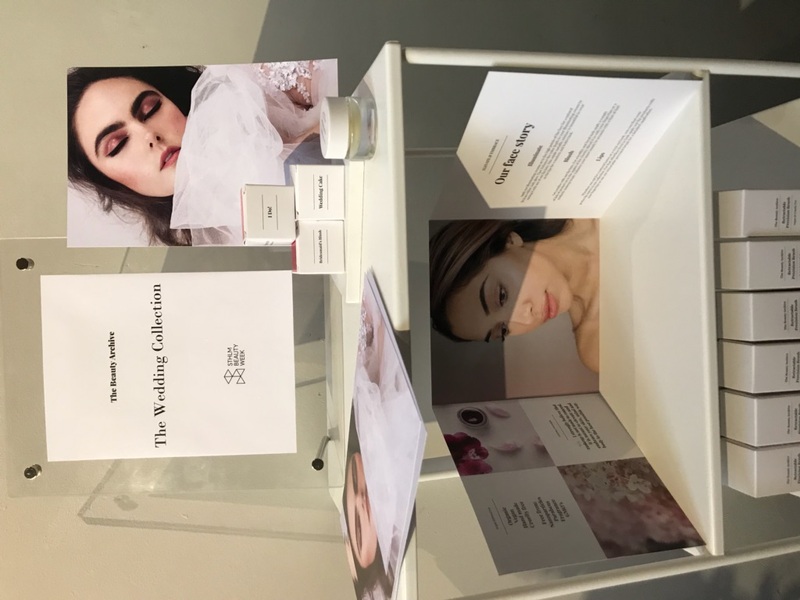 The Beauty Archive is a Swedish brand and was showcasing their wedding collection, I Do! 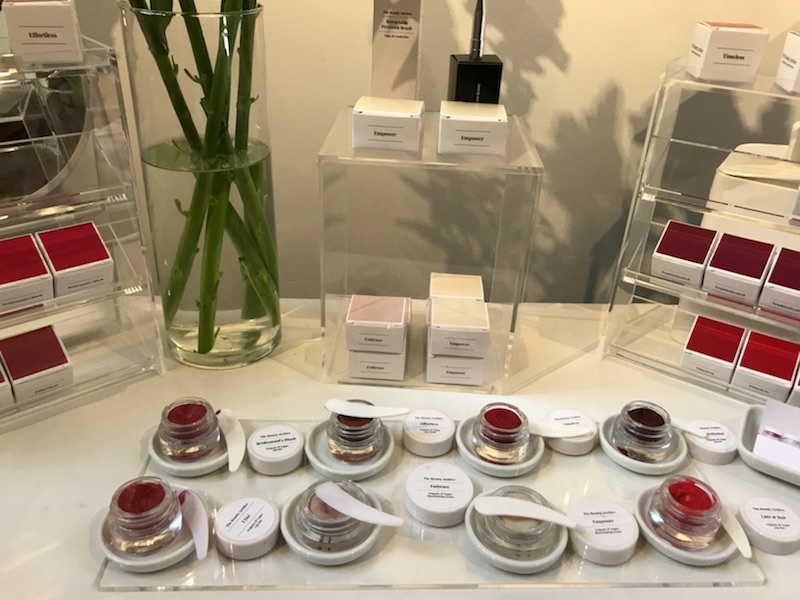 lip tint for lips and cheeks. Beautiful, soft natural colours with a “barely there”, but lasting-power feeling to it. 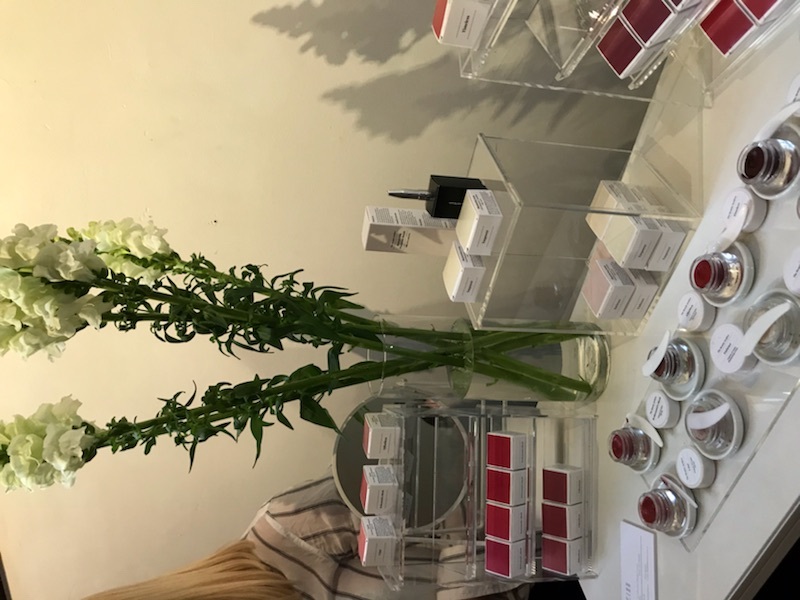 It is multi-functional, which I love and their products are organic, vegan and cruelty-free. 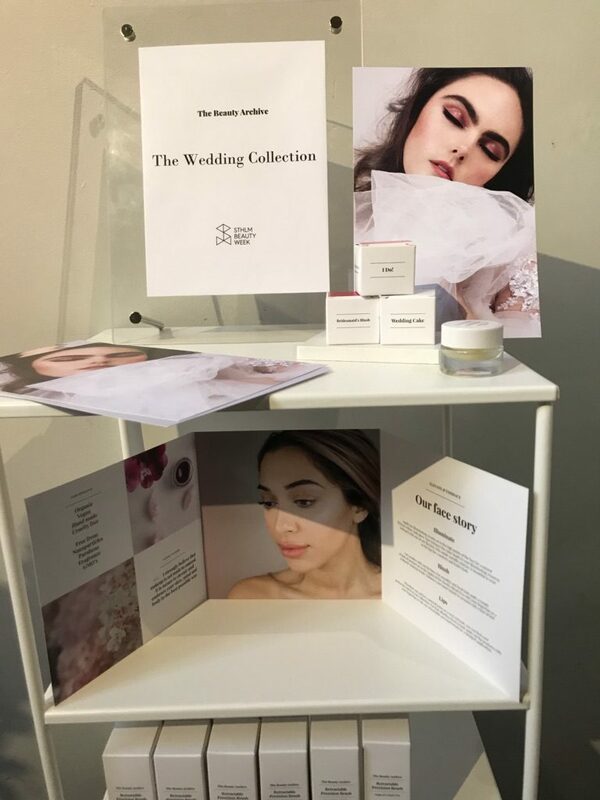 I took a few testers and for the brides who comes to me for your trial, you are welcome to try one of three colours LBD & Red; I Do! and Effortless. 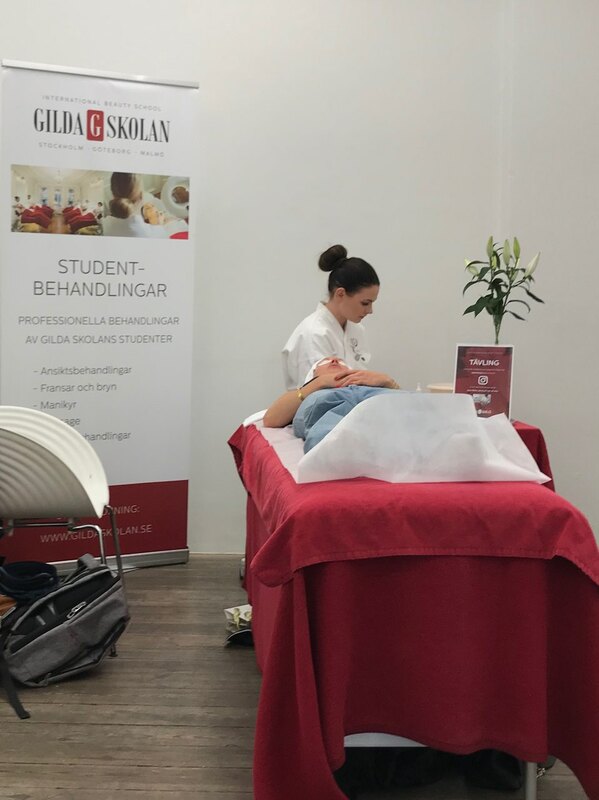 The lovely students at Gilda Skolan were offering a combo of eyelash tint and eyebrow pluck. Of course I had to make use of the treatment. 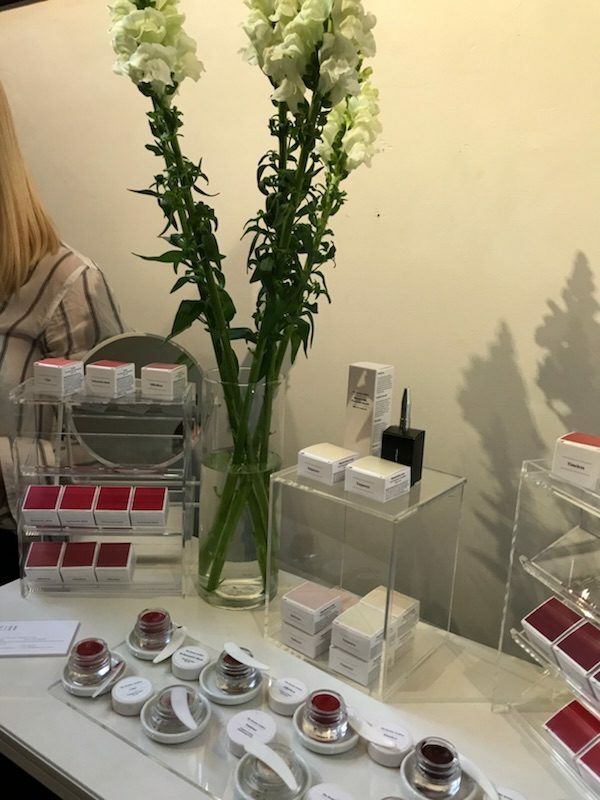 I would really recommend an eyelash tint for someone who has very fine eyelashes. It looks very natural and you don’t have to use layers of mascara throughout the day. 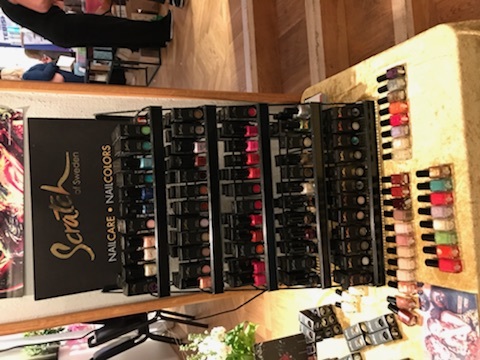 Then I tried the Scratch Nail Food oil for healthy nails. It is a 100% natural product which gives your nails strength and elasticity. My nails were very thirsty and soaked it right up. It will also help your nails to grow faster. It will not crack or flake. It prevents to the growth of bacteria and it soothes irritated cuticles. 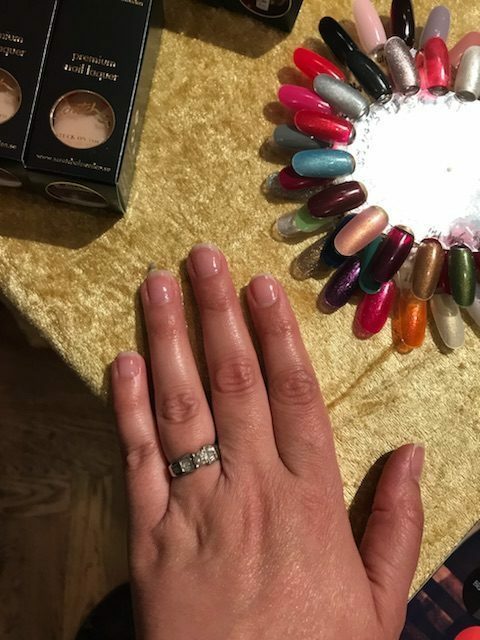 While we are still on the nails. 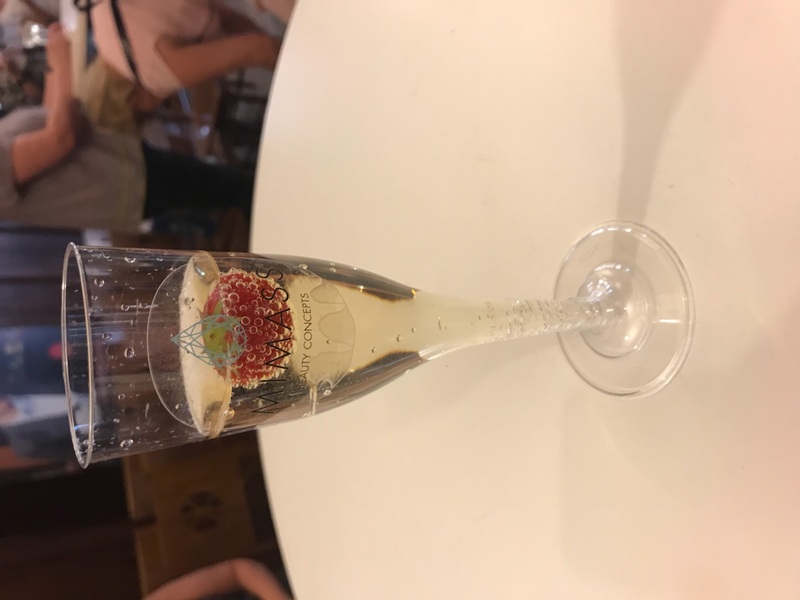 I was sipping on a glas of champagne while getting my new set of gel nails at the friendly ladies from Depend Cosmetic. How luxurious. I really like their Life of Venice summer collection, but I opted for something classic with rosy pink. 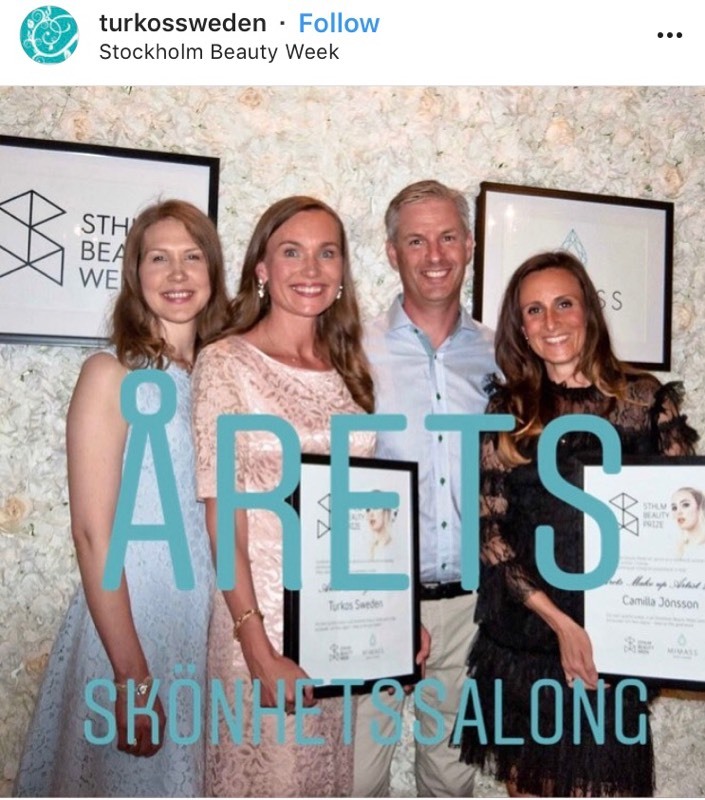 Then it was time for the Stocholm Beauty Prize and fashion show. 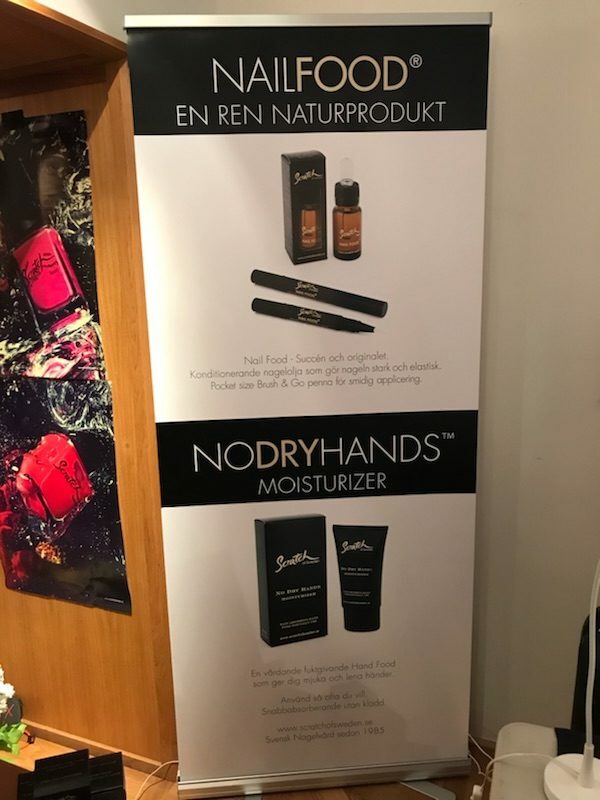 The prize of this year’s beauty salon went to Turkos Sweden. Click the link below to see a clip of the fashion show in full. 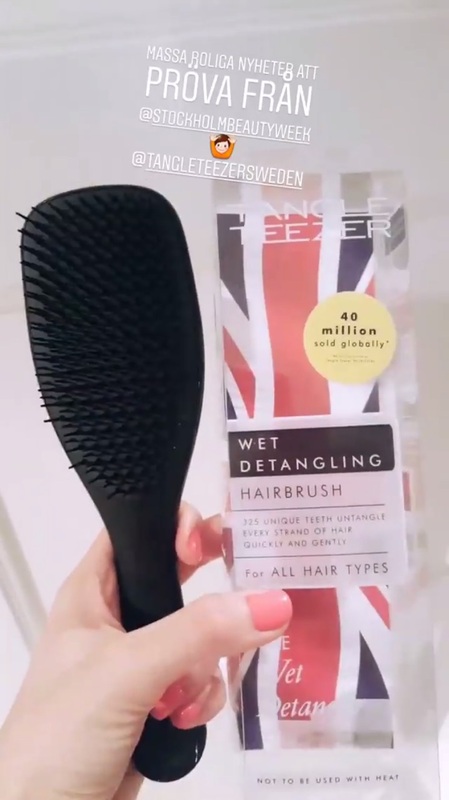 Something which I really wanted to try but just didn’t have enough time, is the Tangle teezer, wet detangling hairbrush. You can read more about it on Instagram @tangleteezersweden.